It has to be owned that after seeing Blue Rose Code deliver a live show a few years ago that could generously be described as lacklustre this reviewer has taken absolutely no interest in his music since. 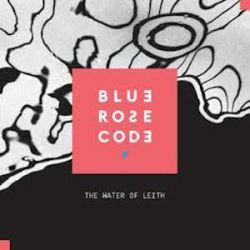 Which on the evidence of this album would appear to be a massive mistake as “The Water Of Leith” is a work laden with beauty, possessed of depth, heart and soul and sounds simply gorgeous. Ross Wilson, for it is of course he, has a warm voice that wraps itself around the dozen pieces here with echoes of Van Morrison and Joni Mitchell at their best. Said pieces range from the epic ten minutes of The Water and the seven of To The Shore to the short and slower delights of Love is…, the passion of Bluebell and the more upbeat Ebb And Flow. “Journeys” are two a penny these days and the word is generally meaningless but Wilson has emerged from alcoholism and addiction and you can hear his exultation and joy in every note here. Wilson’s lyrics burst with hard-learned lessons and raw honesty too, never more so than on the closing and life-affirming Child. There’s a distinct Scottishness running through the music too, a Caledonian yearning that aches like no other, helped by Julie Fowlis and Kathleen MacInnes helping out with some of the vocals and various Scots luminaries playing. A wonderful album.